Included in this article are tips on how you can avoid distance and distrust and take a more cooperative approach with your senior loved one’s assisted living staff. Your assisted living staff will be better able to do their jobs if you and your parent bring them into the fold and treat them as active and welcome participants in your senior loved one’s care moving forward. •	In can increase your trust in the care your loved one is receiving. It’s natural for family members to worry about the quality of care a senior will receive in a new assisted living community. The best way to put your fears to rest is to get to know the staff and regularly ask for updates. It’s not uncommon for adult children to be worried that a move to assisted living can potentially have a negative impact on their loved one. More often than not, however, the exact opposite occurs. With days filled with various activities, a close watch on his/her medications, a proper and monitored diet, an assisted living environment typically allows individuals to thrive. When you know your loved one is in good hands, you can let go of some of the stress and worry you feel about their care. •	The assisted living staff will be a big part of you and your senior loved one’s lives. 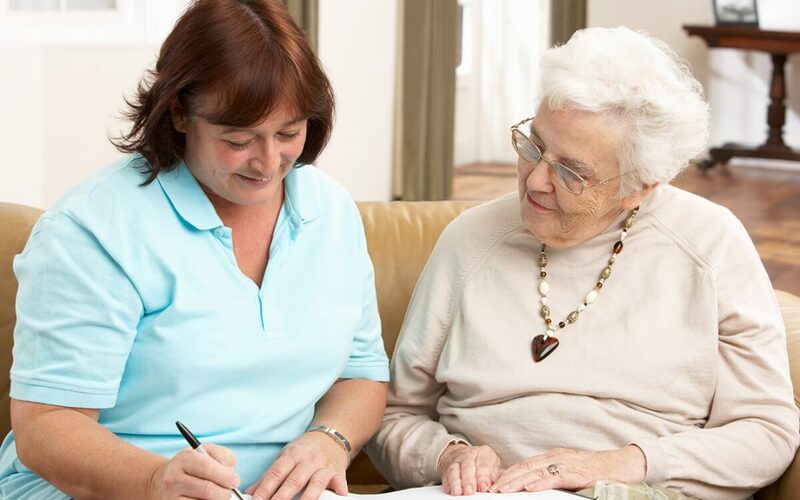 For as long as your parent or senior loved one lives in assisted living, staff will become the main people in charge of helping them with activities of daily living (ADLs) like getting dressed and taking their medications. They’ll also be some of the main social contacts your loved one has in between your visits and will become the familiar faces you see every time you’re there. Your lives will be better if you stay on good terms with your loved one’s assisted living staff and make an effort to get to know them. •	You have the knowledge they can use to provide more personalized care. While you need assisted living staff to help with your senior loved one’s care, they also need you in order to do their jobs as well as possible. Taking the time to know one’s interest and life story has always been a key to helping carry out individualized care plans. Having open and frequent communications with family members and friends allows staff to get an inside look into the lives of our residents. Your loved one’s care needs, personality, and preferences are all unique. The more you interact and openly communicate with assisted living staff, the better they’ll understand the person they’re taking care of and how to best treat them. •	You need regular updates on anything that changes — and so do they. As your parent or senior loved one ages, their needs inevitably change. You want to know sooner rather than later when that happens and you want to make sure that assisted living staff knows as well. The best way for everyone involved in your loved one’s care to stay aware and on top of all changes is by keeping the lines of communication open. When you notice something different about their behavior when they’re home for a visit, make sure you let the staff know so they can make any needed changes to the care routine. Also, regularly ask assisted living staff about any changes they notice so you can advise on how best to handle them and know to bring them up with the doctor if needed. Knowing you should treat assisted living staff as part of the senior care team isn’t the same as actively doing so. •	Be respectful of them. Working in an assisted living community is hard work. Be careful not to take out any of the difficult feelings you may have about your loved one’s condition on the staff. Communicate respectfully and always remember that you’re talking to people with an active interest in making sure your loved one stays as comfortable and healthy as possible. Whether it’s through talking to them during frequent visits or making regular emails or phone calls, make sure you proactively communicate with assisted living staff. It gives you the chance to get to know them and shows them you’re interested in constant updates on your love one’s cares. Families should never be surprised about changes in their loved one’s condition. Regular communication keeps everyone in the loop and ensures you’re all on the same page about what your loved one needs and how to provide it. •	Work together for better for better senior care. As you already know, taking care of an aging senior is a lot of hard work, and it’s too often thankless work. You can make the lives of your loved one’s assisted care team easier and improve the quality of care your family member receives at the same time by actively embracing the people working with your loved one. Treat them like a part of the team and get to know them as human beings. As baby boomers continue to retire in record numbers, an ever-increasing group of adult children are facing the question of how to handle their parents changing health needs. Many also face an even more urgent request from their parents… “please don’t put me in a home!” The problem is when mom and dad start to need more daily care, it can put pressure on caregivers and strain relationships in the family. It continues to become increasingly important for adult children to consider how assisted living could be a much better option than living at home when it comes to social life for seniors — especially for their overall quality of life and wellness. In a residential community, where there is 24-hour access to personal care, as well as nutrition and wellness services designed specifically for older adults, seniors can enjoy social contact, security, and support while still maintaining their independence. Assisted living is a great intermediate step for seniors who need more help than the family can provide at home, but who don’t the need round-the-clock medical care of a nursing facility. Listed below are eight compelling reasons to consider assisted living for the health and quality of life of your parents or senior loved ones. For seniors to remain living safely at home, a wide range of home modifications might be needed if their physical health begins to decline — such as shower railings and medial alert systems, just to name a couple — and the expenses can quickly add up. Assisted living facilities like The Classic at Hillcrest Greens are designed for mobility and accessibility, helping seniors avoid falls and accidents and providing rapid access to assistance. Access to fitness and physical activity. With access to various gym equipment, group exercises classes, led by trained fitness personnel well-versed in the needs of older adults, assisted living communities offer opportunities for physical fitness that go far beyond what family caregivers can easily provide at home. Help with Activities of Daily Living (ADLs). Family caregivers are also generally responsible for helping with activities of daily living (ADLs) such as bathing, dressing, and eating when a senior loved lives at home. In other cases, the family or the senior themselves must bear the cost of a home care aide. Both of these options can cause personal and financial strain on the family. In contrast, one of the most basic principles of assisted living is helping older adults with these ADLs so that they can continue to function as independently as possible. Keeping the house clean, getting to appointments and social engagements, making sure any medications are being taken properly…these are the typical day-to-day responsibilities that often fall on caregivers when a senior parent is living at home, whether they live alone or with the family. The vast majority of these burdens are relieved when older adults reside in assisted living, as the community generally includes upkeep and housekeeping in the monthly rent cost, and many facilities also offer transportation services. As an example, The Classic is contracted locally with Abby Vans for providing transportation to appointments, etc. Being able to maintain one’s independence is rewarding in and of itself — and sometimes that requires accepting a bit of help now and then. Assisted living helps seniors care for themselves while also offering access to an active and rewarding lifestyle. At the same time, when families no longer bear sole responsibility for meeting all of their loved one’s needs, it can reduce everyone’s stress level and even improve family relationships. The time that adult children spend with their senior parents can then become truly meaningful quality time. 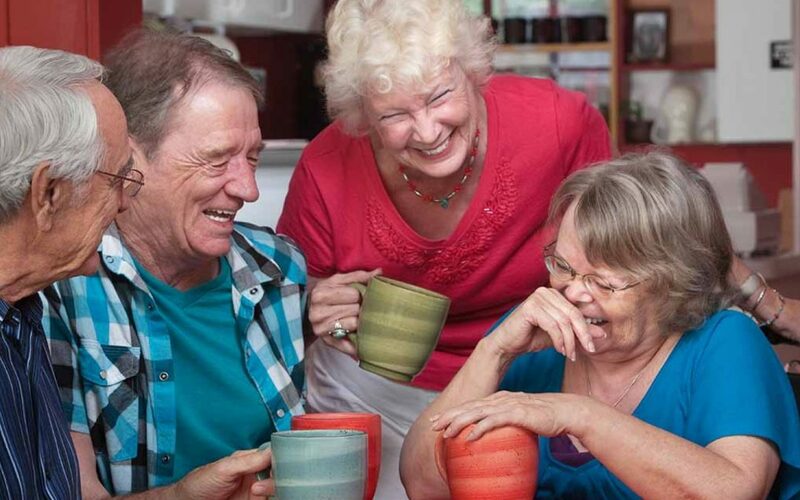 Activities at assisted living communities can be cultural, social, and spiritual. Many facilities offer guest lectures from visiting scholars and professionals. If a community is located near a college or university, residents can often take advantage of campus resources, including courses and cultural events. Living at home can be isolating, particularly if a senior resides alone. It can be difficult for the elderly to maintain their social relationships when they are no longer working. 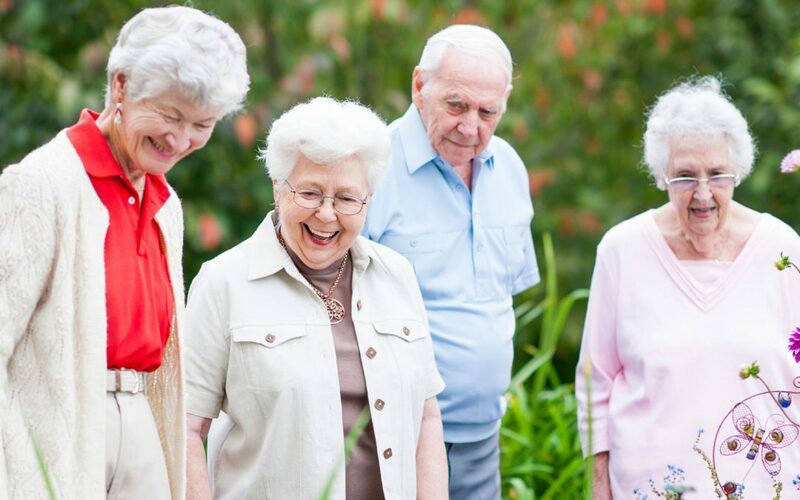 In an assisted living setting, residents can easily socialize with peers while participating in any number of structured or non-structured activities. It can be very difficult to supervise senior nutrition at home. Seniors living alone may find it unappealing to cook for one, and it’s challenging for family caregivers to monitor whether their loved ones are receiving the necessary nutrients. In assisted living, residents are served three meals a day tailored to the changing health needs of older adults. If society is to be believed, senior living is where you go when you have no one else to care for you, and is an unavoidable fate when you can’t take care of yourself any more. The truth is, the vast majority of our fears of senior living are inaccurate. In recent years, baby boomers have reinvented what senior living really means. There is a wide range of state-of-the-art senior housing, from assisted living for those who need day-to-day help, to independent living for more active adults. These options all aim to provide seniors with a lifestyle tailored to their individual interests and needs, while also offering the necessary care to remain mentally, physically, and socially healthy. With the activities and amenities offered by today’s senior living communities, there’s pretty much no excuse to be bored. Today’s senior housing market offers everything from field trips and outdoor excursions to fitness and personal enrichment classes. Yes, senior living can seem financially daunting, but if you’re already thinking about how to afford the care, you’re ahead of the game. With savvy financial planning, and maybe a little help from Social Security or VA benefits, senior living can sometimes come out to be the same cost as living at home. There’s far, far more to senior living than the stereotype of adult children dropping off their elderly parents with random strangers. When it’s time to move to senior living, the process of decision-making is one that should involve the entire family, and your older loved one should be just as comfortable with their new home as you are moving them there. Good senior living communities are staffed by professionals who are experts in senior care and can offer more advanced care if it’s called for. Moving to a new residence, letting go of long-held habits of daily life — these are often realities of getting older, but they can be difficult and require major adjustment. Take your loved one’s concerns seriously and don’t minimize their feelings. The fact is, assisted living can be a necessary and freeing step for both seniors and their families. If it is already too difficult for a senior to care for herself independently, or for caregivers to provide the necessary help, then assisted living may be a good option. The emphasis is on safety and security, but also independence and privacy, enabling each resident to have the care they need without compromising individual dignity. It’s natural to worry about being alone, especially if you define yourself by those relationships you value. However, moving into senior living doesn’t mean you’ll lose those relationships. In fact, you just might value them even more. At the same time, a senior community provides new venues for social contact, not to mention onsite help when there’s an emergency. You’re not alone if you have a parent with memory loss. Millions are facing this reality every day. Finding out whether the memory loss is a part of aging or a cognitive disease such as Alzheimer’s or dementia, can be the challenge. Because elderly persons can often try to hide cognitive diseases, it’s crucial you get testing and help for them. Alzheimer’s and dementia are scary diseases that slowly steal a person’s identity and personality — the very traits that make them who they are as individuals. No one wants to lose themselves to this heart wrenching and brain-destroying disease, which is why denial, changing the subject, or compensating for symptoms is so common. The signs of dementia can be subtle at first. Mom gets disoriented or has trouble recalling certain words, or Dad forgets to pay the bills. If your aging parent or loved one is showing persistent memory loss, it’s a warning you should not ignore, because it could be more than just a “senior moment.” There is even a condition called anosognosia, a lack of awareness of impairment that may affect your parent when there is damage to the part of the brain that affects the perception of one’s own illness. Getting treatment for the problem can help slow down the disease progression and even completely treat some forms of dementia. So it’s important to understand the ways that the elderly can hide dementia symptoms. Refusing to participate in an activity they once loved. Refusal to do a chore, play a game that was once simple, or try something new can signify a problem. Mom or Dad may be having trouble remembering how to do activities that were once second-nature, which makes learning new information even more difficult. Whether it’s having trouble driving or interacting with family and friends; spouses often cover their loved ones. They’ll step in and complete tasks, finish sentences or make excuses for their spouses. Being in denial of their own cognitive impairment. Insisting they’re fine when there’s an obvious problem often signifies denial. Excuses such as, “This is normal forgetfulness for my age,” or “I’m fine, just tired” are some signs of denial. Making excuses protects the elder in their eyes by convincing himself or herself that everything is fine so they don’t need to worry, when, in reality, they may not be fine and might need either some form of treatment or an alternative living arrangement. Keeping it a secret for fear of being put into a home. No one wants to give up their freedom. Seniors will go to great lengths to cover up they are going downhill so that they can remain “independent.” Some studies have indicated that people who have a high intellect and more education can cover up the signs of dementia for a longer period of time. They can even deny it to themselves longer. These people simply start at such a high level of knowledge that others don’t notice a slight slip. This isn’t, of course, always true. Many who have not had higher education are very clever and can cover up memory slips with ease. No two people are the same, so adult children should be on the lookout for signs of deterioration in their parents. More than denial, anosognosia is a lack of awareness of impairment — most people do not even know that they are ill — and it affects up to 81 percent of those with Alzheimer’s. Anosognosia is still difficult to define, but researchers know if results from anatomical or damage to the part of the brain that affects perception of one’s own illness. How Does Your Elderly Parent Function? What matters is how your aging parent functions. If they are having trouble with everyday living and responsibilities, you need to address the problems you’re noticing. Visiting a neurologist can help sort out the behavior that is not what the family is used to seeing and rule out various causes. Dehydration, infection, medication, and stroke can all cause changes in brain function and behavior. It’s good to find out the reasons for the memory problems and learn whether they can be treated. If there is no official diagnosis other than “early dementia” or “mild cognitive impairment,” it’s not a signal to the family that everything is OK and no one needs to plan ahead. Rather, it’s time to take a look at Mom or Dad’s future. Get prepared today, rather than wait for a crisis. Starting a tough conversation is easier than you think. It’s time. Your family has had a number of discussions about your parent’s increasing need for care and have come to the decision that a senior living community is the best choice. Just making that decision is a big step, but now there’s a lot of work to do to make it happen. If your parent owns a house, one of the decisions you need to make now is whether or not to hang on to the house or go ahead and sell it after a move to senior care. Like anything else in life, there can be advantages and disadvantages. We’ve outlined some options below. Chances are, someone in the family has an emotional connection to your parent’s house. If letting go of it is a difficult emotional decision for any of you, then you’ll want to think through whether or not keeping it makes sense. Sentimental reasons alone aren’t always enough to go off of, but there may be other good reasons that make it worth it. It makes sense to keep as a real estate investment. Depending on where you live, selling could mean losing more money than you would gain by hanging onto the house for a while longer. If you know the real estate market where your parents lived is on an upward trajectory, then keeping the house may be a really smart financial decision. Even if someone from the family won’t be moving in, you could rent it out and make money on it while you wait until the right time to sell. Someone wants to live there. If one of the children or grandchildren wants to inherit the house, then there may be no need to sell it. It can stay in the family and continue to be used. Your parent can know the house they loved is still in loving hands (and visit sometimes) and you can all know there’s someone there to take care of maintenance and the costs associated with ownership. You have a good use for it. Making money and making the residence into a home for another family member are both good uses for your parent’s old house, but there may be other less obvious reasons that keeping it makes sense for your family. Covering ongoing costs. Even if the home entirely paid off, this includes the cost of ongoing fixes and maintenance, home insurance and taxes. Deciding on financial details. This can be the tricky part for a lot of families. Everyone needs to be on the same page of the script when it comes to paying for the expenses associated with keeping the house and how to use any profits from renting it out, if applicable. If your family is prone to disagreements, hanging onto the house may cause more trouble than it’s worth. Figuring out who will live there (if anyone). If you’ll be renting the home, you have to do the work in finding good renters, which may take some time. If someone in the family wants to move in, you just have to make sure everyone in the family is okay with the arrangement. If you’re leaving it empty, you need to make sure someone stops by frequently to check on things and deal with the aforementioned ongoing maintenance. Keeping up with ongoing maintenance. Someone will need to take on the responsibility of making sure the house stays in good condition. That means fixing things that break, keeping the yard maintained, etc. It’s a lot of work and can especially be hard if someone isn’t living in the home. 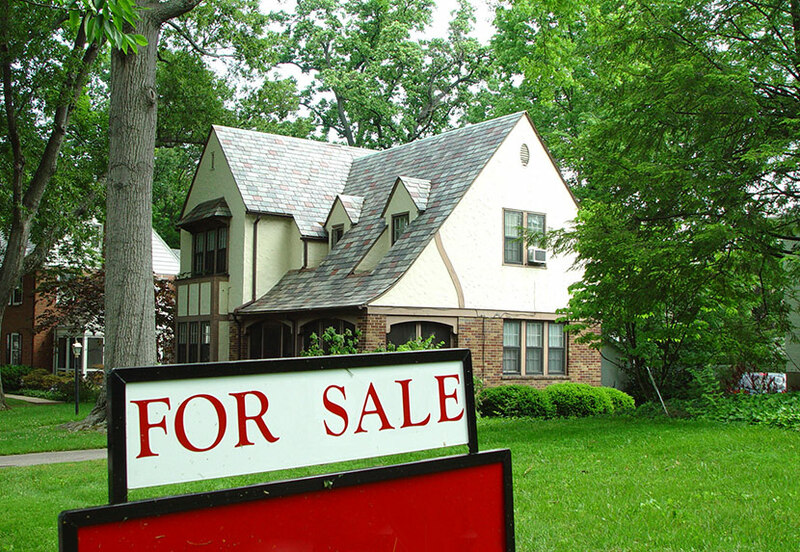 Whether you feel an emotional connection to your parent’s home or not, for some families, there will be more reasons to sell it than there will be to hang onto it. Keeping the home would cost too much (and require too much work). As mentioned earlier, keeping the house will mean becoming responsible for a number of associated costs — from home insurance and taxes to various repairs. This especially becomes an issue if no one is living there. Vacant homes can often fall victim to unexpected issues such as frozen or leaky plumbing, roof leaks, and a multitude of other concerns. Unused appliances and other mechanical features in a home can easily become compromised with lack of use. No one in the family lives close. If adult siblings live in different parts of the country, taking care of the house either while standing empty or acting as a landlord to renters is a lot harder when the individuals are not in the same city or even the same state. If your parent moves into a senior living community close to one of the adult children, then there is really nothing keeping anyone tied to the city their home was in. Going back just to deal with house matters will likely feel more like an annoyance than anything else. You want the money from the home’s sale to pay for senior care. Staying in a senior living community can be expensive. If the value of your parent’s home is high enough, selling the house may seem like the most practical solution in order to obtain the money you need to help pay for your parents senior living care. Selling now could pay off in how you’re taxed and is dependent on the profit made from the sale of the home. You will want to check your financial or tax advisor, but typically there are no capital gains taxes for up to $250,000 if you are single and $500,000 if you are married. This will hold true as long as the parent had owned the home for at least the last two years and treated it as their primary residence. Ultimately, if no one in your family feels up to the task of dealing with the maintenance and costs associated with keeping the house, then selling it just makes sense. If you’re leaning toward selling the home, there are a few important factors you need to think about before making a definite decision. The condition of the home. If it’s an older house and especially if your parent hasn’t been doing much work on the upkeep, then the house may not be in good condition to sell now. You’ll need to consider the fixes and upgrades that need to be made to attract a buyer, or decide if you’re willing to make less on the sale in order to forego the work. The local real estate market. Before you decide to sell, talk to a local real estate agent. You need to find out what the home is worth now and what the expectations are for what the market will do in the coming years. If you’re hoping to use the sale to pay for assisted living for instance, then you need to understand what you can expect to make from the sale of the home before you can be sure the math will work. The work of selling. While a good real estate agent can take a lot of work off your plate, you’ll still need to clear your parent’s things out of the house, make the recommended upgrades and do the associated paperwork. Someone in the family will need to be prepared to take those tasks on. Your parent’s readiness to sell. At the end of the day, the home still belongs to your mom and/or dad. Senior parents may need a little psychological room to give up “their home” in stages and renting out the property can be temporary solution. If they’re not ready to give up the house yet, you should try your best to respect that. Although, if you simply can’t afford to hang onto it after they move, you may not have a choice. Deciding whether to keep your parent’s house or sell is ultimately a personal decision that depends on your particular circumstances and feelings and those of any other family members that have a stake in the decision. At this time of year, many folks have either met with their financial consultant or tax expert for their income tax filing or are at least in the process of gathering the necessary documents for that process. Household finances and budgets can tend to be at “top of mind” during the next several weeks up until the April tax filing deadline. If you are in a situation this year where you not only have to be concerned with your own household finances but now suddenly find yourself responsible for your parents’ finances as well, it may seem a bit daunting. Managing your own money isn’t easy under the best circumstances, so it’s not surprising that most people feel overwhelmed when it’s time to step in and take over the management of their parents’ finances. But as is the case with any large project, what feels impossibly complex taken as a whole, becomes much more doable when separated into manageable segments. By separating the process of managing your parents’ finances into sequential steps, you’ll find yourself far less stressed. Listed below are eight steps that can help you move forward. Your first responsibility as your parents’ financial manager is to do some investigating. If your parents are competent to discuss their finances, get a head start by asking them Five Basic Questions about their finances. Once you’ve determined appropriate answers to your inquiries, start going through files as you’ll want a clear picture of every asset they have. Start with savings and checking accounts, retirement accounts, investment accounts, and pensions. But that’s just the beginning. You’ll also want to locate the paperwork for your parents’ mortgage (if applicable) and any other real estate holdings as well as the account statements for their credit cards. You should also find out about every insurance policy your parents have in place, including life insurance, annuities, and long-term care insurance. Discuss where they store valuables, and whether they have one or more safety deposit boxes. And…don’t forget to ask your parents if they’ve ever purchased or inherited any individual company stocks. (It’s often surprising how many seniors have original stock certificates squirreled away. If you’ve been designated to help your parents with their money and assets, you may already have power of attorney (POA) for finances. If not, you’ll want to get this taken care of. Having Power of Attorney allows you to access your parents’ financial records so you can act on their behalf. You’ll need this designation to research account balances, transfer funds, pay bills, write checks, make deposits and withdrawals, and open safe deposit boxes. In other words, with a financial POA designation, you can take care of your new responsibilities without having your hands tied. 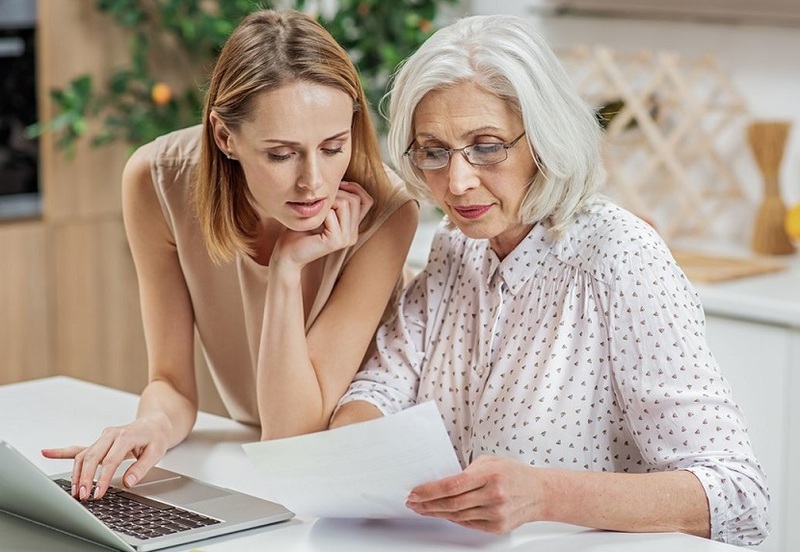 In addition to Power of Attorney, or sometimes in place of this designation, banks and other financial institutions often have their own forms that establish access to your parents’ accounts. Once your parent signs these forms, (he/she may or may not need to be present, depending on the institution’s rules), you can write checks, make payments and withdrawals, check on account balances, and do all the other things an account holder does. The first and most important of these would be the mortgage on their home. Even if it’s determined that it’s already paid off, you should if at all possible see if there is documentation that you can have in hand that 100% verifies nothing further is owed. If there is still an outstanding balance, it behooves you to find out the amount. Down the line, it may become important to understand how much equity your parents have in their home, in which case you’ll want to have the home appraised so you can compare the appraisal to the amount still due on the mortgage. Next, check if there is an equity line of credit on the house, or any other debt/lien attached to the house. If your parents have taken out a reverse mortgage, it’s especially important to understand the associated terms. You’ll also want to make sure you have all the information you need about your parents’ credit cards and any other outstanding debts. Follow up thoroughly on any creditors’ notices you find in the mail, such as bills that have gone to a collection agency. Because it may be hard for your parents to talk about credit card debt and other debts, it may be best to contact the companies directly to find out what is owed. It’s likely that Social Security payments make up a significant portion of your parents income, so it’s important to understand how much that benefit is. You also may find it’s worthwhile to explore, or at least ask, whether your loved one(s) is getting the maximum benefit they are entitled to. 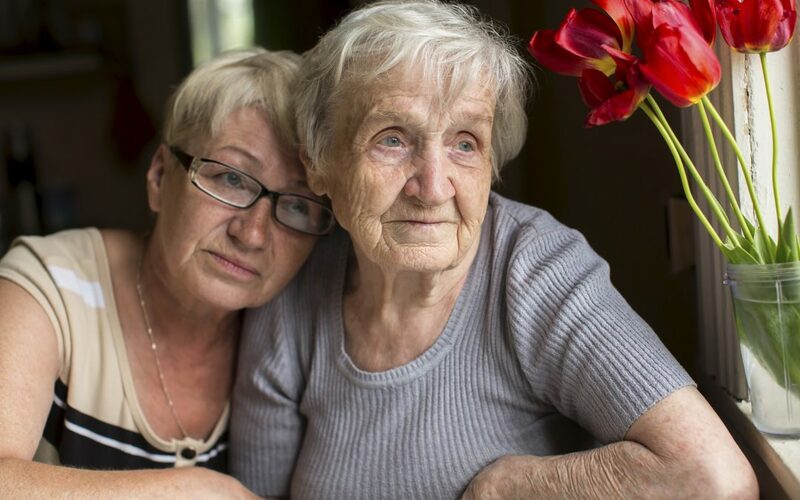 The rules surrounding Social Security are complex, particular those governing widowhood and divorce and…there are cases in which someone qualifies for more than they are receiving. An eldercare attorney or financial planner can help you with these issues. Life is long, things change, and older adults are forgetful. Combine these three factors and the chances are high that some of your parents’ documents and policies are no longer current. Review your parents’ wills and trusts…is everything up to date? Take the time to go over the list of assets included in the trust. Is everything there that should be? All too often, people have moved money and opened new accounts, then forgot to amend the trust to include them. Check designated beneficiaries on all accounts. Is the right person (or persons) listed? 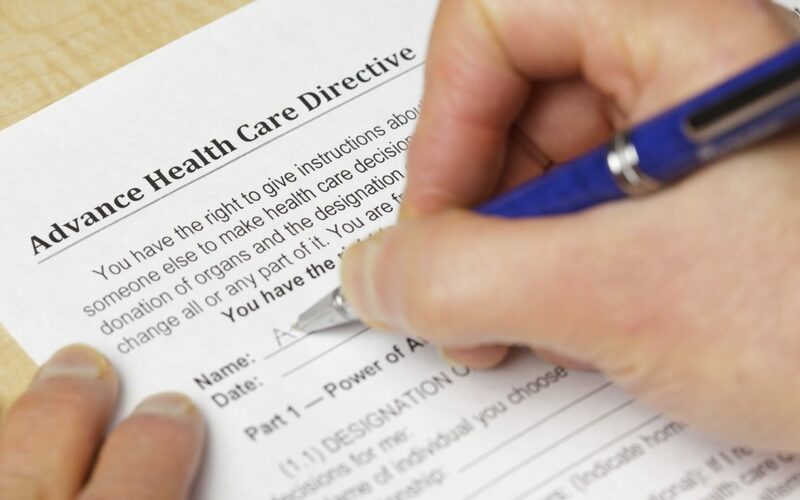 While it’s not a financial document, take this opportunity to review your parent’s Advance Health Care Directive as well, since it’s very important to make sure it still reflects your parent’s current wishes, including the right person as health care agent. If you discover that your parents do not have an Advance Health Care Directive, you are strongly urged to have those documents put in place. An Advance Health Care Directive helps loved ones, and medical personnel make important decisions during a crisis. 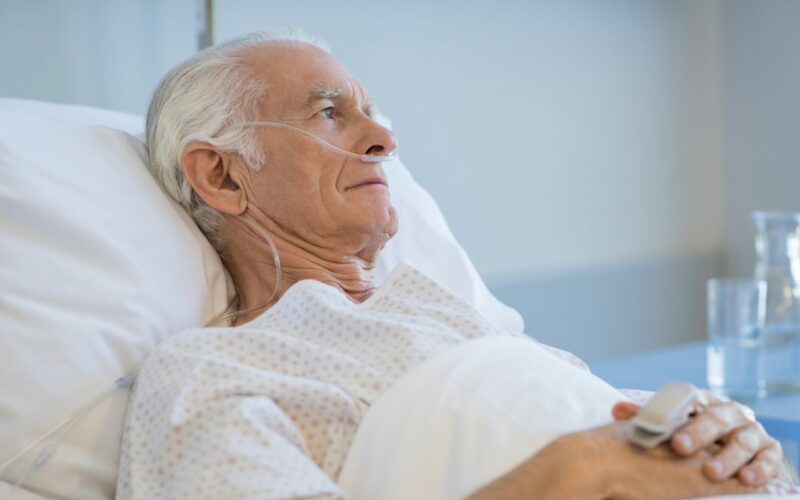 Having an advance directive in place ensures that your parents’ wishes regarding their health care are carried out, even when they are unable or incapable of making their wishes known. Next, you’ll want to perform more in-depth research into the terms of insurance policies, loans, and other financial vehicles such as annuities. Do the terms of insurance policies make sense for your loved one’s current situation? It’s not unusual to discover that the terms and costs of life insurance policies no longer make sense for this phase of your parent’s life. If so, your parent may be paying too much for benefits they no longer need. You might be surprised at the number of older adults who one day no longer remember to pay their income or property taxes. And those mistakes can cost you dearly in penalties. In fact, too many years of unpaid property taxes can result in a house ending up on the auction block. Look for tax returns from the last few years and if you don’t find them, call the IRS. Your local assessor’s office should have your parent’s property taxes on file. If your parents have money invested in mutual funds, stocks, or other investment vehicles, now is the time to take a look at the investment strategy being employed and make sure it best suits their needs at this time of life. Since your parent is no longer saving for the distant future and may need that money soon, this typically means money should be moved away from riskier investments with a longer return, e.g. from stocks into more conservative investments such as bonds. Ultimately, your investment goal is to make sure the money is there when they need it. The Durable Power of Attorney is considered one the most important personal legal documents for any older adult to have. Along with a healthcare proxy, it will give whomever your parent designates —whether it be you, one of your siblings, or someone else — the power to make financial and legal decisions (or, in the case of a healthcare proxy, to make medical decisions) if your parent is incapacitated. Without a Durable Power of Attorney in place, you’ll have to go to court to get appointed as your parent’s guardian. That’s the last thing you’ll want to have to think about in a time of crisis, and it’s a notoriously complicated and messy legal process. With a durable Power of Attorney and healthcare proxy in place, you can seamlessly make decisions and access accounts on your parent’s behalf without getting the courts involved. Many people never take another look at their insurance policies or investment account beneficiary designations after they sign the initial papers, but both should be reviewed every year. Beneficiary designations — who will receive the proceeds from an account if the policy or account holder dies — can be affected by any change in family circumstance, like the birth of a new child, a death, or a divorce. A yearly financial and insurance review also provides a good moment for your parent to review their asset allocation and evaluate whether they have enough or too much life insurance (if the children are grown and the spouse has other funds on which to live if there is a death, for example, your parent could think about cutting back on the amount of life insurance they carry to save money on annual premiums). 3. “Do you have plans or insurance in place to pay for long-term care if it’s needed? Even if your parent is in good health today, they’ll likely need some type of long-term care eventually —and cost can be substantial. Costs for nursing home care can range from $8,000 – $10,000 a month depending on the state you reside in. Typically, neither health insurance or Medicare cover any of these expenses, so your parent should have some type of plan in place to pay for such care should it be needed. Long-term care insurance is a good option and can be added to existing life insurance policies, possibly at a discounted rate. Medicaid also covers some nursing home costs, but your parent should consult an elder law attorney now to find out if they qualify for Medicaid. If not, the attorney may advise spending down assets — literally. He or she can advise you about the methodology of spending down without gifting or transferring assets until your parent meets the strict income requirements necessary to qualify for Medicaid. Without a plan in place to pay for long-term care, you and your siblings will be on the hook to pick up the cost unless your parent has very deep pockets. Another excellent resource to discuss the whole access to Medicaid is your county’s Aging & Disability Resource Center (ADRC). They have counselors on staff that help guide you through the process as well. Although most adults are fiercely private about their finances and want to maintain their independence, it’s important in case of an emergency that you know how to contact your parent’s attorney, financial advisor, accountant, and insurance agent. At the same time, as your parent ages, you can keep an eye on whether their financial and legal advisors are scrupulous, objective, and well-versed in elder financial issues, with no vested interest in selling specific products. Getting the details on exactly who is advising your parent is a good way to protect him them from scams as well as to ensure they have funds in case of an emergency. If your parent has a stroke or heart attack, the last thing you’re going to want to worry about is what his/her social security number is, what health insurance is in place, or whether the mortgage has been paid. That’s why it’s important to sit down before a crisis hits and find out what kind of bill-paying system is in place, the status of any insurance, and where all the important papers are kept. Although some parents may balk at sharing this kind of personal information, you should provide reassurance that you don’t have to see any private papers now — you just need to know where they are to ensure financial well-being in the event they are not able to take care of themselves.